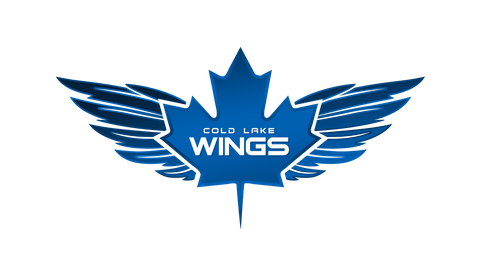 Wings fans in the area will have the opportunity to witness a one-of-a-kind Jr. A tournament right here in Cold Lake. Starting Saturday, Nov. 10, teams from the United States will be in the city for the the first ever Western States Hockey League USA VS Canada Showdown. Four teams from south of the border will be invading Alberta to play six games vs all four Canadian teams from the Western Provinces Hockey Association. The Wings will kick-off the their tournament with games on Saturday and Sunday in the Energy Centre's new arena, followed by a Monday match-up in Imperial Oil Place Arena. The final three contests will run from Thursday, Nov. 15 to Saturday, Nov. 17 on the Wings home ice. Check below for the full schedule. Cold Lake will be welcoming teams from Seattle, Bellingham, West Sound, and South Oregon for the showdown, offering a chance for fans to watch teams in action they otherwise wouldn't get to see. 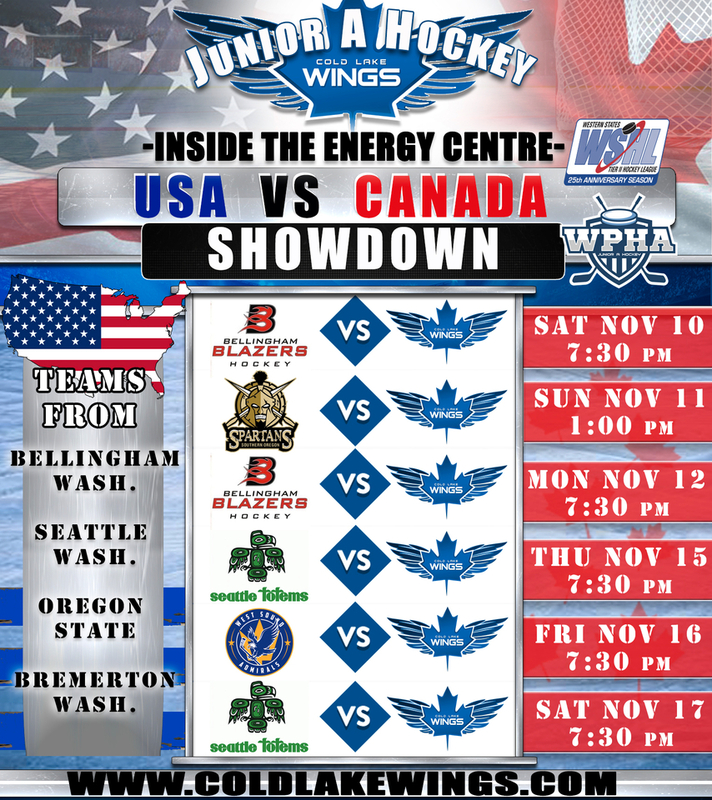 In between their match-ups with the Wings, the USA teams will be travelling the WPHA circuit. At the end of the tournament, points will be totaled up for Canaaian and U.S. teams to see which side of the border gets division bragging rights.